Since 1996 we have been dedicated exclusively to offering a wide range of Spanish courses for foreigners in Seville. The short answer to that question is simple: You should choose Seville because of its wonderful climate, joyful atmosphere, unmatched hospitality, charming people and safety. Seville, the capital of Andalusia, with 800,00 inhabitants (over a million including the metro area), is known worldwide. While containing all the luxuries of a modern city Seville has never forgotten its roots. It is the proud guardian of deeply rooted Spanish traditions, which can be felt, seen, and participated in on daily basis. Its prestigious monuments (Cathedral, Giralda Tower, Torre del Oro, Alcazar… just to name a few) attest to this. Festivals such as Feria de Abril (the April Fair) and Semana Santa (Holy Week) never cease to surprise and captivate all who visit. 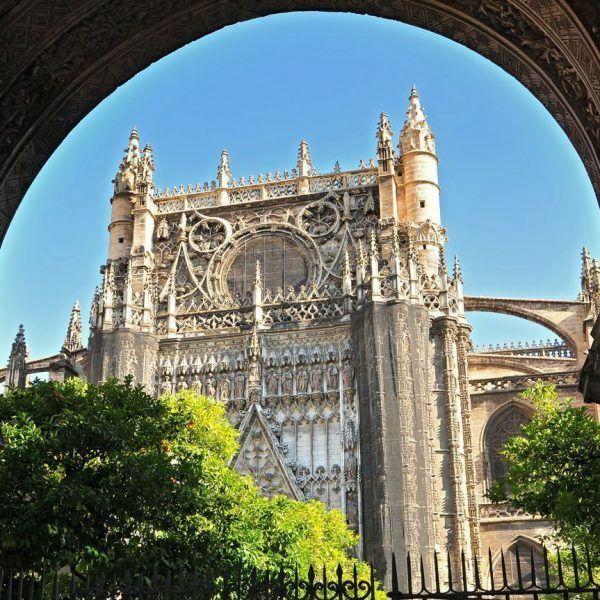 Seville is also home to 70,000 university students, first class opera and flamenco, numerous theatres and cinemas, and one of the most prestigious bull rings in the world (the Real Maestranza). For those who enjoy food Seville is a gastronomical rite of passage. A perfect Seville evening may begin with a “ruta de las tapas” (rout of tapas), which will lead one “de tasquita en tasquita” (from tavern to tavern) sampling a variety of local dishes rich in flavor, originality and steeped in Spanish history.